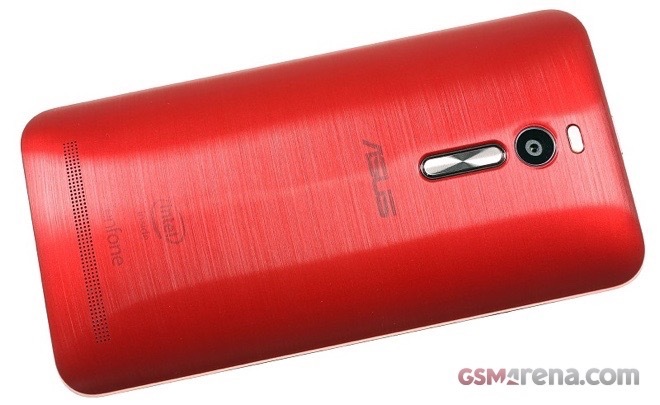 Asus ZenFone 2 with 4GB of RAM packs an Intel Atom Z3580 SoC with 2.3 GHz quad-core CPU, coupled with PowerVR G6430 GPU. For comparison, Asus ZenFone 2 with 2GB of RAM features Intel Atom Z3560 with 1.8GHz quad-core CPU. Price-wise, the 4GB ZenFone 2 sits closely to the hordes of Qualcomm Snapdragon 615-equipped mid-rangers. However, the device’s chipset performance puts it in the same league as many flagship devices. Therefore, we’ve lined up an eclectic mix of smartphones for our benchmark comparison. Geekbench 3 is a benchmark that focuses on raw CPU performance. On this instance, the 4GB ZenFone 2 did considerably better than its 2GB, relative, but still couldn’t quite match the oomph of its high-end octa-core rivals. Antutu 5 adds RAM and storage speed into the mix and is an indication of the overall performance of the device. We found the 4GB ZenFone 2 rubbing shoulders with many of today’s heavy hitters in the Android real. Similarly priced mid-range rivals on the other hand, didn’t even come close to its result. The trend continues with the Basemark OS II benchmark. Once again the high-end Asus ZenFone 2 posted a stellar score. As expected, its single and multi-core results came out considerably better than those displayed by the 2GB version. GFXBench puts the device’s GPU to the test. The PowerVR G6430 of the ZenFone 2 beat the scores of last year’s Adreno 330, but could’t quite match the output of the Adreno 430 found in today’s Snapdragon 810-equipped devices. Basemark X paints a similar picture. Once again the 4GB ZenFone 2 came up with a respectable score that’s worthy of a high-end smartphone. Web browser performance turned out quite good as well. The range-topping ZenFone 2 handily beat its cheaper relative, as well as a number of considerably more expensive rivals.